For a growing brand, social media appearance matters a lot. Everything that they use to post online creates an impact on their targeted market. In this scenario, the Facebook cover images have become quite essential to boost engagement. In order to create a most attractive cover to display your brand story, it is good to use a dedicated tool that can enhance creativity. There are lots of Facebook cover creators as well as photo editors available online but the guide below will make you familiar with some of the top rated ones so that you can choose the best platform for your marketing campaign. Click here to check how to perfect your Facebook photos before posting. Before get a roll down to the following best Facebook cover photo makers, here we want to introduce a new released product Fotophire Slideshow Maker. It could weave some single pictures into a motion slideshow, so that you could save or share it on the Facebook or other social newwork to keep or share your wonderful memory . The usage of it is very simple, you just need 3 steps : upload the photos to the program, choose a desired theme , then that's it ! 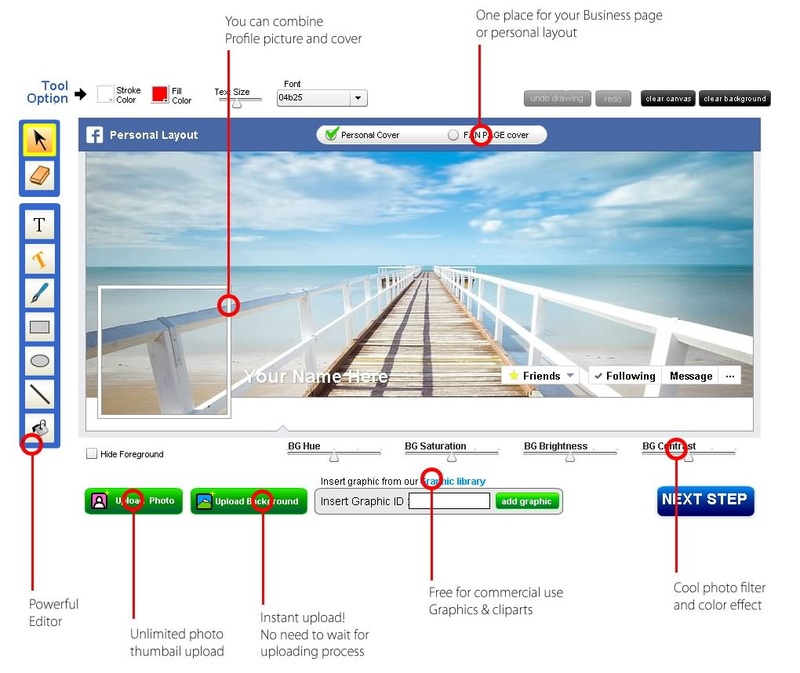 The Facebook cover maker tools below are discussed on the basis of their usability, features and compatibility details. PicMonkey has received a top rating as best online facebook cover maker tool that allows users to insert 3 to 7 images on canvas. You can choose any one out of 4 different cover layout options and the great news is that the layouts can be edited manually with simple drag and drop movements. Users can adjust the exposure of the images before posting them online and this tool also provides easy settings for the flip, rotate and resize like editing abilities. It is possible to adjust the spacing between images, alter background color and the corner rounding as well. The free swatches available on the PicMonkey library will assist you to decorate the final look of your cover image. All the high-end photographers are already aware of the impressive editing abilities of Fotor. Marketing professionals often prefer to use it for web-based editing needs to create unique and impressive cover photos. In order to access the advanced editing abilities of Fotor, first of all, you have to create an account on this web-based tool and then choose Facebook Cover from template list. 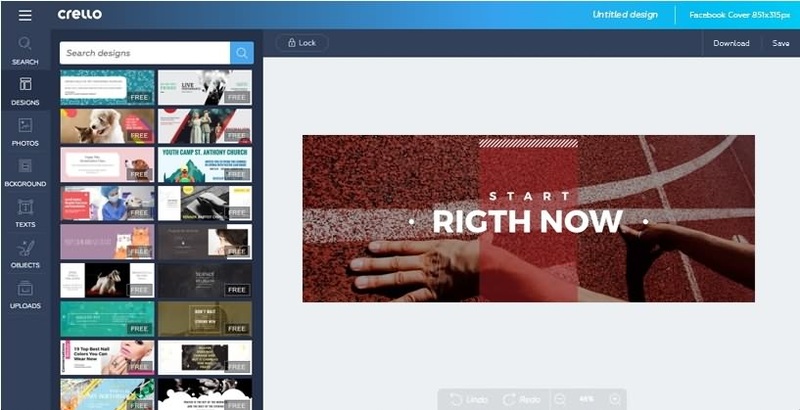 The great news about Fotor covers creator platform is that it allows users to create their customized cover layout starting from a blank canvas. The templates become more attractive due to an awesome collection of themes and they are updated time to time on special occasions. This online cover creator tool is popular for its huge library of backgrounds that users can access for free. And the designs options are not limited to presets; you can also create your personalized timeline cover as well. Users can adjust images on their own backgrounds and add drawings, shapes, and text etc to enhance final appearance. This web-based tool also allows easy adjustments for contrast, brightness, and saturation etc. As soon as your editing task is complete on Timeline Cover Banner, you can save the image in PNG format then it can be uploaded manually to a Facebook profile. If you need a simple to use Facebook cover creator tool the My FB Covers is the right choice for you. This editor possesses numbers of readymade covers that can be used as it is by users for Facebook posts. On the left side of the screen, you will find a number of categories to choose from; it can be a TV show, celebrities, animals or nature etc. As soon as you find something of your choice, you can make it your cover photo instantly. 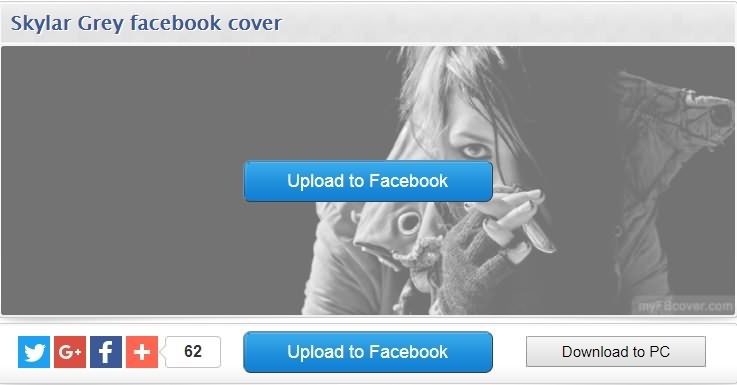 It will immediately update your cover photo to your Facebook account. But to do this you have to permit it access to your account. Crello allows users to organize their images the way they want to promote business with a unique impression. Users can select their favorite design template from an online library and then modify it using some special design elements. The great news is that Crello is designed with an intuitive and user-friendly interface that can be accessed by beginners as well. So if you are already tired of the complicated cover maker tools, it is good to try Crello to complete your cover creation task with ease. This tool is available for free so you can create impressive cover images without spending your hard-earned money. Photovisi is another simple to use Facebook cover creator platform that can make your image editing task quite easier. This tool is compatible with numbers of social media platforms like Facebook, YouTube, Twitter, LinkedIn and Google Plus. Users can select their template from an online library and use additional control features to enhance its appearance. There are a variety of text styles, overlays, stickers and resizing options. Even beginners will find it quite easier to access with it intuitive editing terminal. This app is designed to assist users on iOS as well as on Android so that they can have fastest photo editor to create a creative collage on the go. Picscatter allows users to arrange images in meaningful patterns that can impress every viewer on social media. This intuitive editing tool does not require login or registration from a user; you can simply download it and start editing instantly. This app works perfectly on smartphones and tablets as well and the edited images can also be transferred to DropBox, Instagram or Evernote etc. The results can be directly shared online or you can save them to device memory. 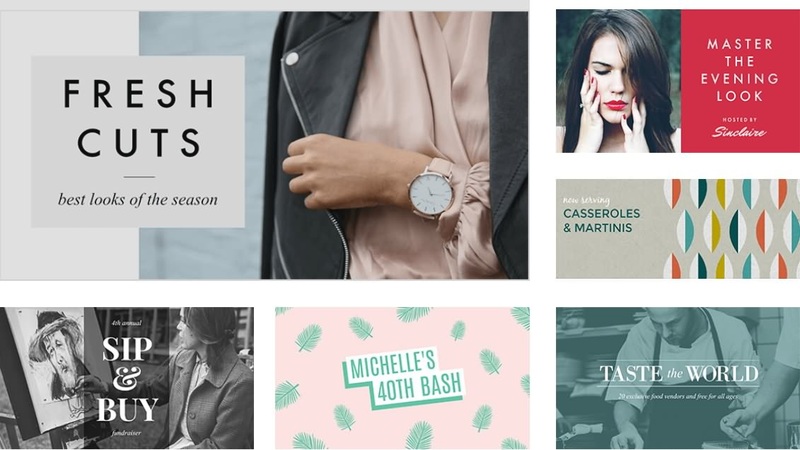 Adobe Spark Post has gained huge popularity in the market for its stunning graphics and high-quality template collections. Most marketing professionals prefer to use this app due to its professionally designed template collections. Users simply need to choose their images, add attractive text and apply design filters to get an eye-catching graphic for a social media platform. With few taps on the screen, you can also adjust color palette, layout, filter effects and typography style on screen. As soon as your cover image is ready, you can share it directly on social media platforms, or can also send it via email to your targeted audience. If you want to engage viewers to your profile, Cover Photo Maker app can help you by creating awesome cover photos. Users need to spend a few seconds on this platform to gain access to the best design elements leading to an impressive cover photo. There are millions of stock images available in a software library that you can choose with ease, the tool allows easy resizing and one can also add stickers to make them more attractive. There are more than 100 text font options that users can access to write his message and once the edited layout is ready, it can be directly uploaded to the Facebook cover photo. This intuitive app can help you to create unique covers for social media platforms within few seconds but people prefer to use it more for Facebook. Users can easily choose an attractive background from app library or upload their own. You can decorate your image using special effects, stickers, text and photo filters. There are 80 plus text fonts and around 200 handpicked textures that can help you to customize your images. Other editing options include fade, color, rotate, move and resize. This tool is dedicated to people who love to change their Facebook cover images so often.